← J’ME SENS BIEN ! Babyshambles, pony pony run run, the black box revelation, infectious grooves, les tambours du bronx, dark horses, bang bang eche, brother ali feat. bk-one, dan le sac vs scroobius pip, Monotonix, jeff lang, Danger, triggerfinger, Jamaica, quadricolor, no records, oxp. 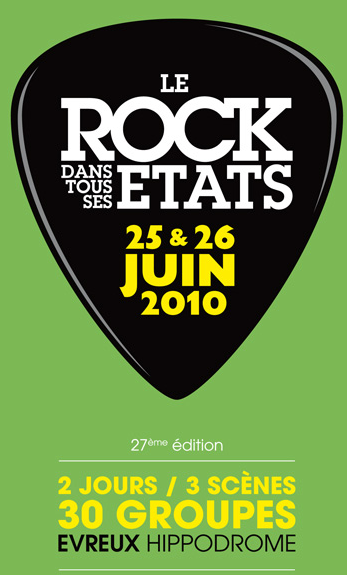 bloody beetroots death crew 77, the black keys, renan luce, chokebore, suicidal tendencies, the jim jones revue, Caribou, the phantom band, curry and coco, fm belfast, Shining, invasion, Vismets, tv glory, the patriotic Sunday, les boeufs troquistes, Orchester. This entry was posted in Art, Voir and tagged evreux, Music, musique, rock. Bookmark the permalink.